Many organizations understand the benefits of a longer-term approach to staffing: reduced turnover and hiring costs, improved efficiency and morale, and ultimately greater profits. Unfortunately, traditional approaches to strategic staffing are often more effective on paper than in the workplace. • PowerPoint(TM) slide presentations • Customizable Excel(TM) spreadsheets * Assessment and evaluation forms • Calculations and analyses • Sample staffing plans, and much more. Integrating a strategic approach to staffing can result in reduced turnover and hiring costs, improved efficiency and morale, and ultimately greater profits. 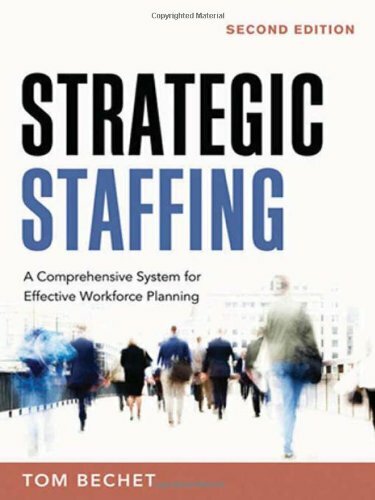 This book is a detailed, process-oriented guide that offers all the tools staffing professionals need.